The Department for Work and Pensions (DWP) has drawn up secret plans for sweeping reforms that would make it far harder for disabled people to appeal against having their benefit claims turned down. The heavily-redacted document was sent to Disability News Service (DNS) by DWP following a freedom of information request, but disabled activists from the grassroots campaign network Black Triangle managed to reveal the words behind the blacked-out areas. The document, titled Appeals Strategy – Post Election Planning (pictured), was drawn up by civil servants just before last year’s general election, and contains 11 policies for a new government to consider, most of which are aimed at reducing the number of successful benefits appeals and cutting welfare spending. Eight of the policies – which appear to be focused heavily on disability benefits such as employment and support allowance (ESA), personal independence payment (PIP) and disability living allowance – were redacted by DWP so they could not be read. 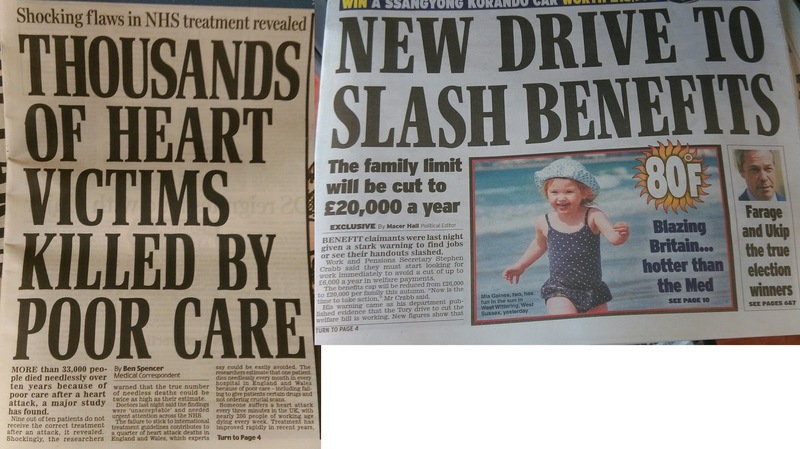 Work on introducing two of the three non-redacted policies is already underway. Among the eight redacted policies is a plan to introduce a completely new appeal system, which would mean far fewer appeals being heard by tribunals, for example those concerning a point of law, with others heard by “an alternative dispute regime”. The document warns that such a move would “raise significant concerns around restricting access to justice”. One of the most controversial proposals is to stop paying ESA to claimants while they wait for their appeals to be heard, a process which can take many months. Ministers have already stopped paying ESA to claimants waiting for a mandatory reconsideration (MR) of their claim, the new compulsory stage of the appeals process. The document warns that such a move would be “controversial”, particularly because the Commons work and pensions select committee has “continually called for the reinstatement of ESA during the MR process so would be likely to oppose the withdrawal of payment pending appeal”. The document also suggests that ministers could reduce the time limit to appeal to a benefits tribunal – for those who miss the initial one-month deadline – from 12 months to just three, but warns again that this would “attract criticisms that we are limiting access to justice”. Another idea would restrict appeal tribunals so they would only be allowed to consider whether DWP had followed the “correct decision making processes” rather than carrying out “a full review of the facts of the case”. Appeals that need the facts of a claim to be looked at would be heard instead by the high court. A fifth policy would introduce charging for appeals, and it warns that such a proposal “attracted negative coverage in the media/lobby when reported previously”, while the introduction of fees for employment tribunals (ET) has been “blamed for the large reduction in ET appeals this year”. Although DWP said last night (20 April) that the “speculative policy formations” in the document do not represent government policy, a spokeswoman admitted that they had been redacted under the Freedom of Information Act because they contain “information in relation to formulation of government policy”. John McArdle, co-founder of Black Triangle, said the policies being considered were “absolutely shocking”. He said the document “lays bare the Tory government’s unrelenting quest to emasculate disabled people’s access to benefits, and to justice”. McArdle said that the document, together with DWP’s attempts to hide secret internal reviews carried out into benefit-related deaths, and the refusal of its ministers to act on a coroner’s “prevention of future deaths” report following the death of ESA claimant Stephen Carré in January 2010, showed the government’s “driving force” was to “cut disabled people’s support, rather than address these issues and the grave danger to wellbeing and indeed life that they represent”. He said: “They are now looking at how they can suppress our fundamental human rights even further. McArdle said the policies would be a “flagrant violation” of article six of the European Convention on Human Rights, which he said protects “the right to a fair hearing and equality of arms before an impartial judiciary in an open, free and democratic society”. David Beckett, who supervises the welfare benefits team at Coventry Law Centre, part of Central England Law Centre, said the “draconian” policies were “clearly about restricting the rights of appeal to claimants” and “restricting people’s access to justice”. He said they could be “financially devastating” for people if introduced, and could mean the difference between “choosing to eat, choosing to heat your home, choosing to pay your rent… anything other than mere existence”. He added: “Some of the potential measures are effectively saying, ‘We are not just restricting it, we are getting rid of your rights to access to justice,’ because people will not be in a position to challenge decisions. “Most of the measures are about stopping people having any right of redress. He said DWP’s assessment process appeared not to be fit for purpose, with three-fifths of PIP appeals successful. He said: “If people are put off [appealing]by charges, or tribunals are not able to look at the facts of the case, people’s redress is significantly compromised and those decisions are more likely to stand. He added: “The tribunal system does work, it works well. It just needs more resources. “The UK government’s ridiculous denials are getting them in a tangle as these ideas were clearly being discussed as part of their policy development. Among other ideas proposed in the document is to provide “paper based” hearings at the first-tier tribunal (FtT), instead of claimants having the chance to make their case in person. DWP suggests that this would cut spending on benefits, because fewer cases are overturned with paper-based appeals. Beckett said such a change would cause “significant difficulties” for groups such as people with learning difficulties or dyslexia or for whom English was not their first language. Other measures proposed include “controlling the FtT – ensuring tribunal decisions are accurate”, and forcing tribunals to adjourn a hearing if presented with “late documentary evidence” by a claimant. A DWP spokeswoman said: “These speculative policy formulations were drafted by staff before the last election as part of their preparation for a new government. But when asked whether ministers had permanently and definitively ruled out the eight redacted policies, the spokeswoman would only say that the department “has no plans to introduce these changes”. A terminally ill cancer patient who was refused a disability benefit by the Government has had her appeal turned down though her GP provided a lengthy description of her illness. Jane Windle, from Parkwood Street, St James, was first diagnosed with a carcinoid form of cancer in 2001 and has tumours in her lungs and pelvis. But last month it was revealed the 52-year-old would not be entitled to receive the Personal Independent Payment (PIP) even though she has been receiving the Disability Living Allowance, which PIP is phasing out, since she got ill.
Mrs Windle has a stent fitted and has difficulty, breathing, moving and even struggles to stand up unaided. The couple appealed the decision at the start of April and supplied the Department for Work and Pensions with a DS1500 form from her GP explaining the extent her cancer affects her, listing a range of other debilitating conditions including Chronic Obstructive Pulmonary Disease. But they have now learned their appeal has been refused. Mrs Windle says the decision has left the couple desperate. She said: “It is so stressful. “Now that money has stopped it is just crazy. “We just think, how are we going to manage? Mrs Windle and husband William have met with Northampton South MP David Mackintosh, to see if he can get their assessment overturned. They are also looking to take the DWP to a tribunal to contest the decision – a process that can take months. Mrs Windle says there is no way she can go out and find work. “What if I am at work for a couple of hours and need to sleep? What are they going to do, roll out a bed? Mr and Mrs Windle can apply for Jobseekers’ Allowance, but that would mean both would actively need to seek employment, even though Mrs Windle has regular doctors’ appointments and needs her husband for assistance. Mr Windle said he will not stop fighting the decision. “Jane’s assessment simply isn’t true. Whitehall officials secretly plotted to charge disabled people for the right to appeal cruel benefit decisions. Woman stripped of her right to state pension says UK Government doesn’t care whether vulnerable people live or die. – she knows as we do. http://www.theguardian.com/politics/2016/mar/01/equalities-watchdog-criticises-planned-cuts-to-work-support-allowance your own body stated that the proposed cuts to ESA will disproportionately affect disabled people, widen inequalities and undermine the UK’s Human Rights obligations. How can Lord Chris Holmes be seen to be promoting the above when he went on to vote for these cuts to both ESA and PIP as a Conservative Peer, his actions will have a detrimental effect on disabled people’s lives to both Independent living and will undermine the UK’s Human Rights obligations. As disability rights campaigner’s we are calling for his immediate resignation of the position he hold’s as Disability Commissioner and Chair of the Disability Committee for EHRC as alongside our peers and other user led organisation’s we think he is no longer worthy of this position. Aylward Mansell was Chief Medical advisor to the DWP and at the SAME TIME was appointed to head the Unum funded Centre For Bio-Psycho Social studies at Cardiff University. A defacto conflict of interest. After he left the DWP he took up the Unum post full-time. Unum is the giant American insurance company which has been found to be crooked in the USA and was described as “..a disability denial machine..” by US law makers. Unum’s computer algorithmn, that was designed to prevent policy holders from claiming on their insurance, is the basis for the DWP’s Work Capability Assessment computer programme. The tick box system that finds the dead fit for work. Unum have been advising the Tory party since Peter Lilley and his “little list”. Managers from Unum transferred to Atos when they were conducting WCA. It stinks of corruption, collusion and ruthless ideology. A prominent Scots disability campaigner is calling for the resignation of the equality watchdog’s disability commissioner for voting in favour of benefit cuts. Susan Archibald, a former Scottish Council for Voluntary Organisations board member, is being backed by a raft of individuals and groups in her call for Tory peer Lord Chris Holmes to stand down as disability commissioner for the Equality and Human Rights Commission (EHRC) after he voted in favour of disability benefit cuts when they had been condemned by his own organisation. Archibald has both written a letter and created an online petition calling for his resignation. It is part of a new campaign from an alliance of anti-austerity, grassroots groups from Scotland and the north of England that are committed to fighting for equality – the Cross Border Alliance –will “name and shame” public figures “colluding in the cuts to disabled people and not addressing disabled people’s rights”. The coalition includes Disabled People Against Cuts, Black Triangle, The Centre for Welfare Reform, Carer Watch, and the Spartacus online campaigning network. THE SNP’s Westminster spokeswoman for Social Justice and Welfare, Dr Eilidh Whiteford MP, has insisted “lessons must be learned” after disability rights campaigners won an appeal against the UK Government’s refusal to publish reports into the deaths of people who took their own lives after their benefits were cut. The Department for Work and Pensions (DWP) may now be forced to disclose details of the investigations into suicides and other deaths. Whiteford said: “The SNP has twice asked the Prime Minister why these reports have not been published by the DWP and twice there have been no answers. The Kicker: The BBC should realise some things are more important than Deila’s job ~ THE BBC’s Scottish Colonial branch office reached a new nadir in its editorial judgment yesterday when it led its lunchtime news bulletin with an item on Ronny Deila leaving Celtic. That gave the Beeb’s Unionist acolytes the excuse to downgrade the launch of the SNP manifesto by First Minister Nicola Sturgeon to third in the running order behind the funeral of Paige Doherty. No quibbles with that as her killing was truly shocking. But to lead on Deila and consign items on rising unemployment and a possible cure for Type 1 Diabetes to fourth and fifth (last item) respectively shows a skewed sense of priorities at Pacific Quay. For goodness sake, a football manager losing his job is deemed more important than very serious news? So much for Scotland being a one party state in thrall to the SNP – the Nats can’t even control the broadcasters. It just shows how football and the Old Firm in particular can warp people’s minds, so much so that we had little serious media comment on the displays of tribalism on Sunday. Disgraceful, all of it. A great many contributions made a lot of sense, however. Police in Scotland are assessing whether to launch a criminal investigation into two former DWP ministers’ handling of so-called disability fit-to-work tests. 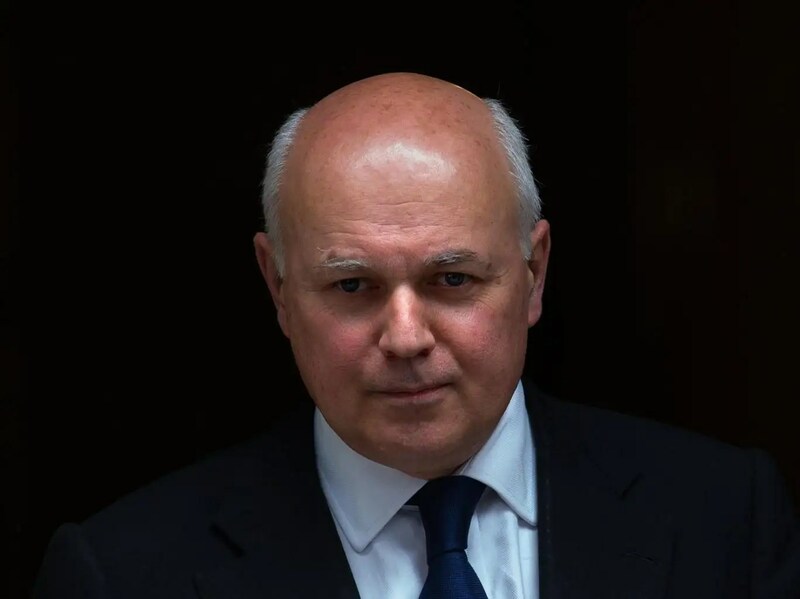 Disabled activist John McArdle of the Black Triangle campaign lodged a complaint with police in March against Iain Duncan Smith and Chris Grayling, according to the Disability News Service news agency. 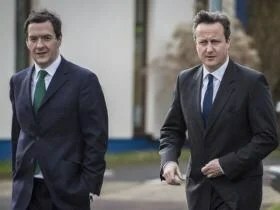 He told police in Edinburgh that the two ministers had ignored a coronor’s concerns about the safety of the tests, which are used to judge whether a disabled person receives benefits. He also produced evidence of suicides he said were related to fitness-to-work tests. Mr McArdle says the ministers may be guilty of “willful neglect of duty by a public official”, which is a criminal offence. According to the Crown Prosecution Service, willful neglect “can be the result of a positive act or a failure to act”. “There must also be an element of knowledge or at least recklessness about the way in which the duty is carried out or neglected,” the CPS explains. A spokesperson for Police Scotland told the Disability News Service: “Police in Edinburgh received a report of misconduct in public office on 23 March 2016. SNP MP Tommy Sheppard has reportedly written to the chief constable of Police Scotland asking to be kept informed of any investigation. Campaigners have long accused the DWP’s fit-to-work tests of causing deaths and have pointed to a number of suicides that took place in light of sanctions.The Department for Work and Pensions said it would not comment on a police matter. “It is important we make sure that people are receiving the right support, and they are not simply written off to a life on benefits,” a spokesperson said. More Department of Work and Pensions staff take time off sick because of depression and anxiety than for any other reason. In this they are different from other government departments, where minor illnesses such as colds and back pain are the main reasons for staff absences. Benefits and Work would like to issue an invitation to DWP staff who are being made ill by their work: talk to us. There has been a notable lack of leaks from the DWP. There have been very few whistle-blowers [why? perhaps because of the shocking consequences such is happening right now and for the past years to ex-Child Protection Officer and Level 3 Social Worker Carol Woods: https://butlincat.wordpress.com/2016/05/09/carol-woods-illegal-tracking-of-her-motor-vehicle-090516-archive/ …ed.]. And even fewer people prepared to leak any of the huge number of documents that the DWP fight to keep hidden from public sight, like the plan to charge for appeal tribunals below. We will treat all contacts with complete confidentiality. A GP practice has been placed in special measures after inspectors found it was failing its patients. Northbourne Surgery has been rated ‘inadequate’ after a visit by the Care Quality Commission (CQC) in March this year identified serious failings in its care for the elderly, people with long-term conditions, young people and families and people with mental health problems including dementia. 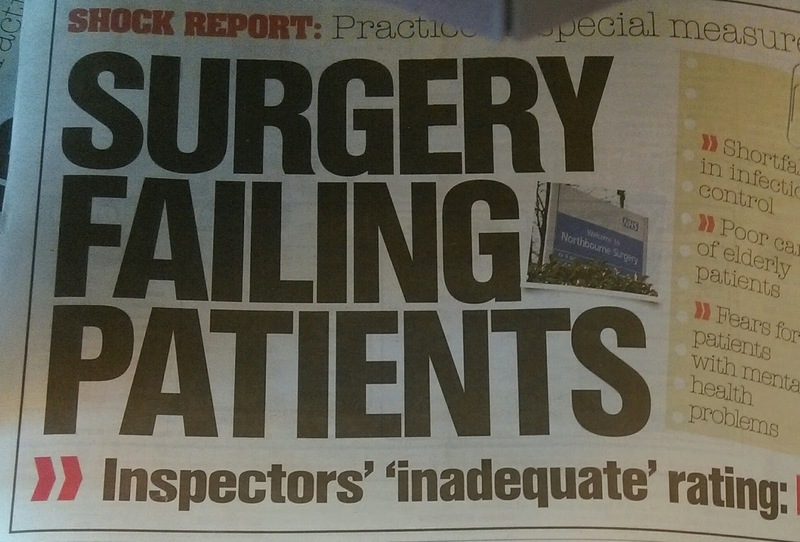 The report said “safety of care for older patients was not a priority” at the practice – based in Wimborne Road, Bournemouth – which was also not recording health ‘outcomes’ for elderly patients unable to attend health checks. Inspectors found “no systems to identify and follow up patients” living in “disadvantaged circumstances” who were at risk of harm. Staff were not “aware of their responsibilities” in passing on concerns about vulnerable children and adults who might be suffering abuse. Also, the report said the practice was “unable to identify patients experiencing poor mental health or those with dementia”. 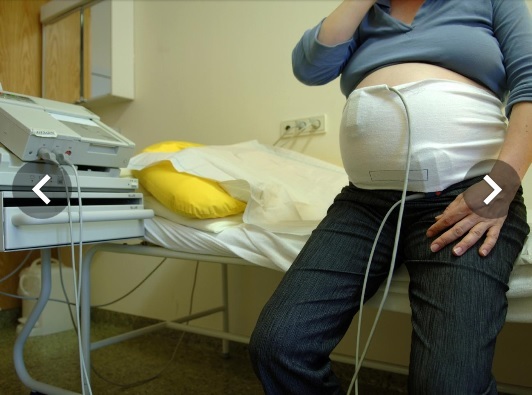 Under ‘special measures’ the CQC will conduct a follow up inspection in six months. If no improvement is made the commission can cancel the surgery’s registration. Ruth Rankine, chief inspector of general practice, said: “During our inspection we saw that staff were caring and treated patients with compassion, dignity and respect. However, we also found that care and treatment was not always delivered in line with best practice. Surveys showed the practice was in line with national averages for patient satisfaction. However working age patients expressed dissatisfaction about inflexibility in its appointment system. Other issues identified by the CQC were a lack of “timely” action to identify abnormal results after investigations, a shortfall in infection control procedures and a failure to show staff were approved to give vaccines. 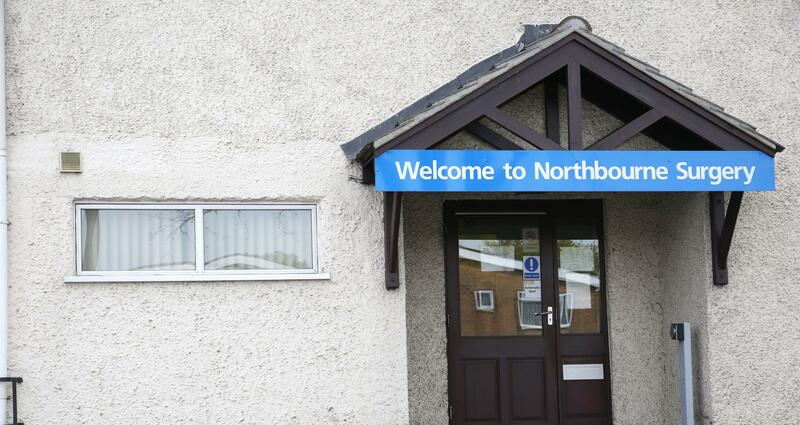 NORTHBOURNE Surgery declined to comment about the report when visited by the Daily Echo. However, it has published a statement for patients on its website in which it claimed the failings had not lead to “reported incidents of harm”. “We would like to apologise to patients for any anxiety that the results of the inspection could cause and would like to reassure them that that the issues identified by the CQC have not led to any reported incidents of harm.